Information technology is experiencing a massive shift away from highly-customized, on-premises only environments towards self-acting, self-regulating, automation systems. Implementing automation technologies sets a foundation for successful adoption of newer IT advantages such as containerization, agile development for DevOps, and cloud management solutions. Embracing automation technologies requires changes in IT department culture and workflow, but benefits can be tremendous. With longstanding experience in cloud consultation, Burwood Group leverages automation to help IT departments move from labor-intensive, custom-built environments to rules-based, automated deployment and management processes. We pair existing IT investments with automation solutions and overarching cloud management to create cloud-ready, agile infrastructure environments. By combining cloud automation and cloud orchestration, we manage all elements of your cloud environment, from physical to virtual resources. Our cloud orchestration platform provides full enterprise-class multi-cloud management with the flexibility to include additional tools from across the development, provisioning, and governance spectrum. Together, cloud automation and orchestration have the potential to lower overall IT costs, free up engineering time for new projects, accelerate delivery times, and improve DevOps collaboration. Burwood empowers the IT department to improve time-to-market for critical applications, satisfy internal customers, and improve IT quality and efficiency. Hi, I’m Rick Rohne! And I am Dan Speck! And we’re going to do a Burwood Autocomplete, answering your burning questions about how to “Leverage the Public Cloud. Who is Dan Speck? That is me! So, I lead up our technology and research development, and also a member of our innovation team. I focus on building our new solution offerings. What are Public Cloud Business Drivers? There are a lot of business drivers for public cloud. It depends on the organization. What we do see a lot of is, organizations looking to transform their business, and become more technology companies. And so they’re leveraging agility and transformation aspects of the public cloud to really execute on that journey. How Do Public Cloud Services Compare? All the public cloud providers have a lot of the same services, but where they differ is where they specialize. So, some of the public cloud providers are very good artificial intelligence machine learning, some are better at running specific workloads, some are better at running mobile apps or web applications. What are Public Cloud Mistakes to Avoid? The two biggest mistakes that we see are thinking that you are going to save money in the beginning. This can certainly be a byproduct if done right and you transform the organization and the culture. You can save money, but for the right workloads. The other is just thinking you can lift your workloads and move them into the public cloud and it’ll operate the same way. The biggest area to think about is planning about what applications are going to be the best fit for the cloud and really starting small. Moving application into the cloud, get comfortable with it, get your operations aligned, get your governance model in place, and then move other applications. When an 800-employee credit union in Illinois needed to decide if renewing their current data center platform was the right call, they enlisted Burwood Group to suggest a forward-thinking alternative. Burwood recommended a virtualized data center architecture to reduce operational costs and provide increased support and security for business-critical applications. The credit union has achieved high availability, scalability, and performance with this future-proofed architecture. After years of M&A activity, a global manufacturing firm had developed a decentralized, unmanageable application environment spread over thousands of servers. They wanted to centralize all applications in the cloud; however, manual application dependency discovery was proving slow and costly. Using an assessment tool, Burwood avoided months of application investigation and interviews and created an actionable plan for migration. 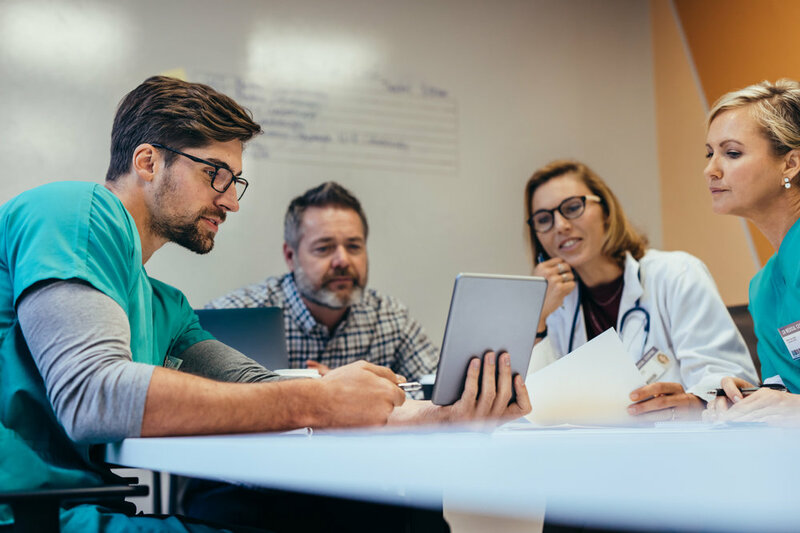 A 350-bed community hospital engaged Burwood Group to assess their disaster recovery preparedness based on HIPAA and JCAHO standards and recommend improvements to its data center infrastructure. Burwood embarked on business impact analysis to uncover operational disruptions and a cloud assessment to evaluate the need for a second data center. Today, the hospital is executing a strategy that accounts for healthcare regulations and technology advances. A California community college network needed to replace legacy desktop virtualization tools in its labs and libraries in time for fall semester. Burwood assembled a team and created a plan to roll out Citrix XenDesktop to 400 PCs in a single weekend. A strong network infrastructure is the foundation and runway for technology innovation. Health, agility, and potential to scale are critical. Burwood Group leverages advances in automation and private, public, and hybrid cloud architecture to create cloud and network infrastructure environments that result in seamless application access, secure management, and visibility across all applications and platforms. Burwood Group believes in the critical importance of tying IT investments to business priorities. Our consultants maintain deep and current expertise across key technologies like cloud migration, SD-WAN, and Citrix end user computing. Contact our team today to discuss your challenges and maximize your network environment.